It is not exactly a new thing to have a large corporation donate money to charities; those donations provide tax benefits and are great for public relations. Coca-Cola is one of those companies that generously doles out millions of dollars annually in support of a spectrum of charities. Research is one of those charities, as is financial support for exercise and sport-related organizations such as the American College of Sports Medicine, the National Strength & Conditioning Association and many others. But the Global Energy Balance Network, GEBN for short, sort of popped up out of nowhere to receive a large share of Coke money. Such a rapid rise from non-existence to fully-funded piques ones curiosity about what it is that the GEBN is really about. To connect and engage multi-disciplinary scientists and other experts around the globe dedicated to applying and advancing the science of energy balance to achieve healthier living. The Global Energy Balance Network provides a forum for scientists around the globe to come together and generate the knowledge and evidence-based pathways needed to end obesity. I’m really curious about this reportedly new take on energy balance, as I’ve been university trained in the subject, and it’s been an interesting topic to me in the context of powering exercise performance. The topic has also had direct personal impact upon me across my lifetime, spending my entire teenage years and early adulthood manipulating energy in and energy out to make weight in wrestling and weightlifting. It affects me currently as this aged body seems to accrue body fat more easily than it did when my athletic career began in 1971. But I’m even more curious about the motives of the organization that is bankrolling the network, Coca-Cola. For a company to drop half a million dollars into a start-up academic organization and website does not seem like a wise move for a company that has brilliantly marketed its products to an ever growing international market. But then again, half a million is small change when they report about $12 billion in revenues every three months. I would hope that altruism is the core motive, but I am suspicious. Support the science of energy balance in addressing diseases associated with inactivity, poor nutrition and obesity. Be grounded in sound science and evidence in identifying, implementing and evaluating innovative solutions. Respect ethnic, cultural and gender diversity and self-determination of people at a local level. Challenge the status quo and efforts that are not based on the science of energy balance. Help grow the Network and help raise awareness of the science of energy balance. Be willing to stand publicly in support of the science of energy balance by agreeing to be publicly affiliated with the Network in name and likeness. Help foster a community of support for the science of energy balance. If the organization actually does objectively and in an innovative manner use science to improve health and/or reduce obesity … I’d even settle for a group that helped rid us of junk nutritional, exercise, and health science … I’m game to hold up my end. After verification an administrator will be notified to activate your account before you may login. You’ll receive a confirmation when it’s done. And then I waited. And I’m still waiting. Maybe the GEBN board doesn’t think I’m GEBN material. The executive board of the GEBN is populated by some very notable scientists, and some that are not so notable, as indicated by a PubMed search and review of available curricula vitas. If you actually take the time to look at the background of each of the board members, there is a theme that applies to all of them except for one. They all receive or received, directly or indirectly, some type of monetary support from Coca-Cola. It may not be apparent at the superficial level when you look at the disclosures on the GEBN website, but the company has invested in, in several instances quite significantly, in the board. They all receive or received, directly or indirectly, some type of monetary support from Coca-Cola. Astrup, Blair, Hand, Herrera, Hill, and Hwalla (although this is not listed on her GEBN bio – rather it is on her publicly available CV) are all recipients of grants, honorariums, or both from Coca-Cola. Several members of the board also list funds coming from the Beverage Institute, the American Beverage Association, and the International Life Sciences Institute. The Beverage Institute is owned by Coca-Cola. Seven of the twenty four executive members of the ABA are Coca-Cola executives, the largest brand representation on the board. The President of the International Life Sciences Institute is a Coca-Cola executive and two members of the GEBN board also are also ILSI board of trustees (who determine who gets ILSI funding). Interestingly those two board members, of GEBN and ILSI, received funds from ISLA. A third GEBN board member, Zhao, appears to have at least indirectly benefited from ISLA funds. However, as Zhou has the least amount of publicly available information, her precise relationship to ILSA is only characterized by appearances in ILSA related documents. The only member of the GEBN board who has not received monies or benefits from Coca-Cola, directly or indirectly, is Wendy Brown. If she is not a previous recipient of Coca-Cola support as the others, how did she get selected for the board? Well, it’s a network. And the network begins with Dr. Blair and Dr. Hand who are the co-leaders and funding recipients of over a half-million Coca-Cola dollars to start up the network. They also collaborated on a nearly three quarter of a million dollar “energy flux study” funded by Coca-Cola. Blair’s CV lists five more Coca-Cola funded projects that approach three million dollars in value. But that is only one aspect of the network. It also appears that along with the funding links of the network board, there is a publication network that also begins primarily with Blair. He is a very busy author, having over 680 science journal papers to his credit (that’s one experiment or review of literature and the associated write up every month over his 49 year career). He has published papers with Astrup, Brown, Hand, Herrera, Hill, Hwalla, and Peters. This leaves Zhao as the sole outlier in publication. So she appears to be connected to the group only through ILSI activity. If a relationship to Coke or a publication history with Blair are the standards for membership, maybe that’s why I’ve not been added to the membership roster. I’m not one of them. identify and evaluate evidence-based solutions that leverage the science of energy balance. Leverage. In physics it’s related to the use of a lever to accomplish work. But in the business world, the world of Coca Cola, leverage can be the use of some type of financial instrument to increase the return on an investment. Is the GEBN actually a financial tool for accumulating scientific data and scientists to use in creative marketing efforts intended to increase public consumption of Coca Cola products? Is there a reason to worry here? We really should not have a beef with Coca Cola’s products. We are free to consume whatever we wish as part of our diet. Coke is part and parcel part of American culture. What we should be concerned about is attempts to increase how much and how frequently heavily sugared beverages are consumed across the globe, and this drive to increase consumption isn’t just specific to Coke, Pepsi, Red Bull, and the plethora of other soft drinks (ABA listing of member brands). It’s about the southern staple sweet tea, Gatorade, Thai iced tea, sugar laden designer coffees, fruit drink products, and more. If Coca Cola is using the GEBN to justify expanding consumption of sugared beverages under the premise of improving health, we have a problem. If the GEBN solution to obesity is simply and only to exercise more so you can drink more Coke, we have a problem. But if the GEBN acts autonomously and responsibly in creating momentum towards making consumption of exercise and quality foods larger than the consumption of Coke, not eliminating its consumption, then we just may have an organization we can get behind. That is if they let you in. A cursory check of my background and online presence would have led them to believe that I might be an ex-academic loose cannon bent on wreaking havoc in defense of CrossFit. And that brings me to the papers that the GEBN posted on their website, intended to demonstrate that their position on diet and exercise is unassailable – well maybe not unassailable, but they present it so their position appears to be evidence based and beyond reproach. Do these papers really support the position of the network executive board? Let’s look at one of the papers that the GEBN uses to support their position. Gregory A. Hand , Robin P. Shook , Amanda E. Paluch , Meghan Baruth , E. Patrick Crowley , Jason R. Jaggers , Vivek K. Prasad , Thomas G. Hurley , James R. Hebert , Daniel P. O’Connor , Edward Archer , Stephanie Burgess & Steven N. Blair. The Energy Balance Study: The Design and Baseline Results for a Longitudinal Study of Energy Balance, Research Quarterly for Exercise and Sport, 84:3, 275-286. 2013. First, notice the first and last author names. Hand and Blair bracket the author list. And note that this is the three quarters of a million dollar research project on energy balance funded by Coca-Cola. This expensive Coke funded project was published in Research Quarterly in Exercise Science (the official journal of SHAPE – formerly the American Association for Physical Education, Recreation, Health and Dance). That’s a very low impact journal. Was it rejected from other “high impact” journals? Given the status of the authors in the organization, why wasn’t it published in Medicine and Science in Sport and Exercise, put out by the American College of Sports Medicine? The location of the paper raises a bit of a red flag, as academic researchers actively seek to improve their publication profile by publishing their papers in journals with the highest impact factor possible for the paper being submitted. Why submit the paper to a 1.55 impact journal when the authors have published in journals with impact factors as high as 55.8 (the highest currently possible)? Was there something that rendered the paper of lower quality? Results from this study will allow a very precise examination of the extent to which total energy intake and expenditure contribute to changes in body weight and fat over a period of one year. So it appears that the researchers simply wanted to follow a group of subjects and quantify how many calories they ate and drank over the year (calories in) and how many calories they expended over the year (calories out) and see how that affected bodyweight and fatness. A pretty simple inquiry into the GEBN’s central dogma, energy balance. Self-report is a notoriously errant method of obtaining data on subject characteristics. In general the trend is to overestimate height and underestimate bodyweight. The degree of under reporting in bodyweight can be quite large with published data indicating the rate to be 70% of women and 35% of men reporting bodyweights lower than actual (Bowring et al). Heavier individuals also tend to underreport bodyweight (Gunnare et al). Self-report of diet also carries with it the same level of inaccuracy with up to 60% underestimation (Kipnis et al). Self-report of physical activity and exercise amounts also differ from reality to a significant degree (Shephard). The authors acknowledge the limitations of self-report but go on to call it the “gold standard”. Would not the gold standard, especially in a well-funded study, be to actually measure height, weight, dietary consumption, and energy expenditure in your subjects if that was your stated intention? Yes, it’s expensive, but wouldn’t it be prudent to generate accurate data on a smaller subject pool rather than producing data with well-known and inherent error? If the researchers were aware of the limitations of their methods, surely they took precautions to control that error in some way, right? They tried, but let’s look at some of the data. The men were reported (based on self-report) to eat 2,407 calories (for accuracy we are referring to kilocalories or kcal) per day. The men were reported (also based on self-report) to have expended 3,115 calories per day. That calculates out to a 708 calorie deficit per day, a negative energy balance. When put in the context of the one year study, the cumulative caloric deficit would be 258,420 calories. For a better perspective, we can use the American College of Sports Medicine’s recommended calculations for caloric deficit and weight loss. Using their math suggests that there would be an average 73.8 pound weight loss for the men over the duration of the study. That means that the average 178.8 pound male subject in the study should have weighed 105 pounds at the end of the project. … The average 178.8 pound male subject in the study should have weighed 105 pounds at the end of the project. The women self-reported a 597 calorie deficit. This means they should have lost 62.2 pounds over the course of the study. Starting at an average 151.8 pounds in body weight means that they should have weighed 89.6 lbs at the end. Obviously this extent of weight loss did not happen and was not reported. The researchers only reported self-reported weight change from the previous year with no discussion, likely because they didn’t see a weight loss outcome that matched their outrageously mismatched self-reported energy balance data. The results of their baseline self-report data defies their concept of energy balance as apparently energy deficit from diet and exercise did not cause weight loss in their subjects. But we shouldn’t look at this paper as an actual research paper, rather we need to look at it as a write up of some ideas the authors had about doing an actual experiment, because that’s more of what it is. But the authors write in the past tense about the experiment and there is no attempt to inform the reader that this paper does not present the actual data of that experiment. Yes there is data presented, framed by the authors to be a span of one year – the duration of the proposed (completed) study. But it’s not until after you wade through the paper’s first sections that you realize that this is a paper that is supposed to lay the foundation for an experiment that was already completed. Data is discussed, conclusions about energy balance are made, and there is much made of the multitude of peripheral high tech measurements that make the project look like good science and might produce some useful information, but this data is not presented the paper. In fact, the results section is frequently used as a platform for discussion. But the elements of the study and the subsequent data presented that could address the stated purpose of the project, to describe how total energy intake and energy expenditure affect body weight and fat, were derived from notoriously inaccurate self-report data and produced demonstrably unfeasible data. We cannot make any conclusions or recommendations on diet or exercise (energy balance) from the data presented. It also does not bode well for the actual long term experiment as the entry data was so flawed. Methodologically, if a set of pristine and immaculate end-data is compared to inaccurate pre-data the result is inaccurate. We cannot make any conclusions or recommendations on diet or exercise (energy balance) from the data presented. Thanks to the generous grant of $750,000 from Coca-Cola, the researchers successfully produced, at best, a decent pilot or exploratory study that can only serve as a source of information for further conjecture. The authors did get another notch on their publication belts for publishing a paper about designing an experiment that had already concluded. The GEBN received a foundation paper – one that has significant limitations in its ability to support the mission of the GEBN and Coca-Cola (Why aren’t the three published papers that actually present the data of this experiment provided within the resources?). 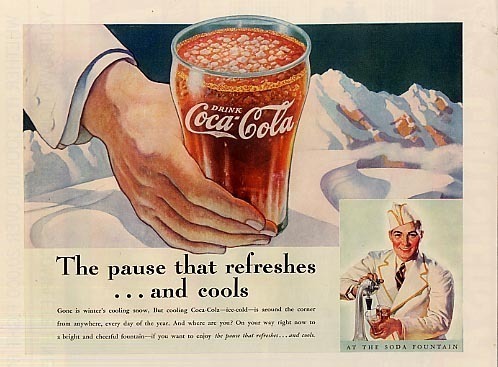 The public got nothing of value from the project, and the resulting paper except for the knowledge that Coca-Cola may not be wisely investing its research grants monies, monies they propose are intended to improve the health and well-being of their customers. For me, a further e-mail to the GEBN office querying the status of my membership application resulted in a non-response. I suppose this is probably a good thing. Although the organization sounds like a good one and it is VERY well-funded, when you look at the concepts they espouse, the way they communicate, their closed network behavior, the data they use to support their position, and their intimate connections to a huge multi-national corporation who desires their services and papers for marketing purposes (or for tax purposes if we want to be generous), the smart person might want to rethink their application for membership. Bowring AL, Peeters A, Freak-Poli R, Lim MS, Gouillou M, Hellard M. Measuring the accuracy of self-reported height and weight in a community-based sample of young people. BMC Med Res Methodol. 2012 Nov 21;12:175. doi: 10.1186/1471-2288-12-175. Gunnare NA, Silliman K, Morris MN. Accuracy of self-reported weight and role of gender, body mass index, weight satisfaction, weighing behavior, and physical activity among rural college students. Body Image. 2013 Jun;10(3):406-10. doi: 10.1016/j.bodyim.2013.01.006. Epub 2013 Feb 16. Shephard RJ. Limits to the measurement of habitual physical activity by questionnaires. Br J Sports Med. 2003 Jun;37(3):197-206; discussion 206. Victor Kipnis, Amy F. Subar, Douglas Midthune, Laurence S. Freedman, Rachel Ballard-Barbash, Richard P. Troiano, Sheila Bingham, Dale A. Schoeller, Arthur Schatzkin and Raymond J. Carroll. Structure of Dietary Measurement Error: Results of the OPEN Biomarker Study. Am. J. Epidemiol. (2003) 158 (1): 14-21. American College of Sports Medicine. ACSM’s Guidelines for Exercise Testing and Prescription (7th edition). Lippincott, Williams & Wilkins, Philadelphia, 2006. Lon Kilgore earned a Ph.D. from the Department of Anatomy and Physiology at Kansas State University’s College of Veterinary Medicine. He has competed in weightlifting to the national level since 1972 and coached his first athletes from a garage gym to national-championship event medals in 1974. He has also competed in powerlifting, the first CrossFit Total event, wrestling, and rowing. He has worked in the trenches, as a coach or scientific consultant, with athletes from rank novices to professionals and the Olympic elite, as a collegiate strength coach, and as a consultant to fitness businesses. He was co-developer of the Basic Barbell Training and Exercise Science specialty seminars for CrossFit (mid-2000s). He is a qualified National Coach and was a certifying instructor for USA Weightlifting for more than a decade and a frequent lecturer at events at the U.S. Olympic Training Center. He is a decorated military veteran (sergeant, U.S. Army). His illustration, authorship and co-authorship efforts include several best-selling books and works in numerous research journals. He currently delivers vocational education courses through the Kilgore Academy, provides online commentary and analysis of exercise science papers, and works as a writer and illustrator. His fitness standards have been included in textbooks and numerous websites. You can download free PDFs of his standards here. DISCLOSURE: The author is a Pepper. Specifically Dr. Pepper 10 and Sonic Diet Dr. Pepper with vanilla.